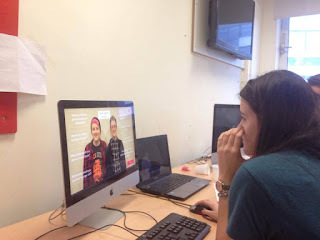 Bournemouth University Multimedia Journalism students' blog running alongside the production process of creating an interactive documentary on the topic of being transgender at a young age. First of we were intending on adding an 'FAQ' feature to our documentary. We would have added the feature in a button format along with he interactive map. BUT, we decided that we couldn't really justify being the voice of reason to transgender people who need advice. Our FAQ would have involved roughly 5 questions with long, in-depth answers. The sources of our information would have had to have been mainly from NHS and phycologists on the web, as, due to us being 5 journalism students our knowledge on transgender struggles are no-where near the authority level of professionals. Therefore we decided that overall we couldn't justify doing our FAQ tab, because it may be irresponsible in the long run, and that if the users wanted advice, our fantastic interviews can provide them with this. We also decided not to add social media links as we have everything we need in our documentary. We concluded that having the links in the documentary, eg, clickable links did not add anything to the content. All the essential content is in the project. This is it, people! Our Klynt documentary has been handed in and completed by the deadline. It's a mixture of relieve, pride and happiness of how our interactive documentary has turned out. We came in at 11am this morning in order to ensure the documentary was fully working and all our links were in the right places; which they were. We then set about getting all our interview release forms downloaded and ready to hand in; as most of the interviewees were under 18 and we needed their consent, which we have. 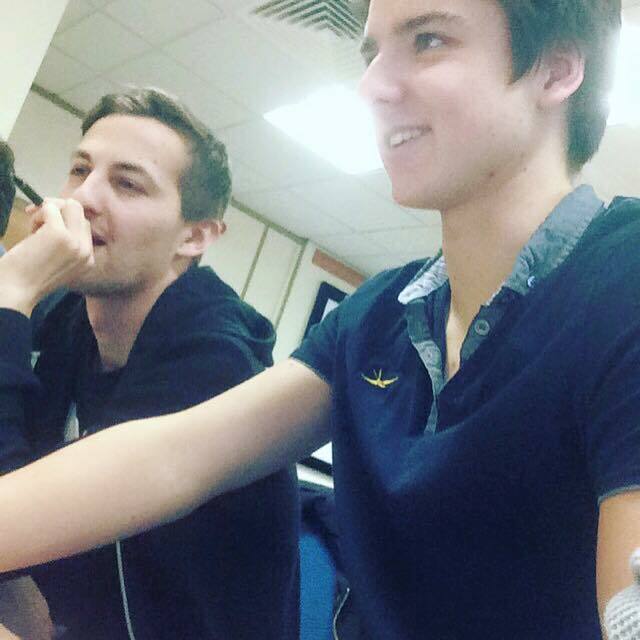 All we had to do was add the credits and we were ready to hand in the documentary before the 3pm deadline! Our presentation is at 10am tomorrow morning, which we have written and prepared for but we will come in at 9.15 in order to be ready to pitch our documentary. Once we have pitched; it will all be over. Hopefully the hard work will be rewarded! We had some important feedback from our user testing. This was an important learning curve for us as we realised there were loads of links that were wrong, which we have quickly looked to rectify. Now we are in the process of tying up some loose ends but apart from that everything is looking good; the documentary is pretty much finished. All those long hours editing have finally come to fruition! Now we are continuing working on our graphic and FAQ which we hope to have done by tonight. So yesterday we tried out our documentary on our users! At university this weekend; that is dedication! Luke & Liam hard at work! Carrying on from yesterday where we spent many long hours on Klynt, our interactive documentary is now in a really good, stable condition. 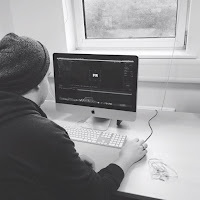 There are still some clips and buttons we need to sort out and clear up, however, we are have this under control and look to have another productive day's editing. The main bulk of our interface and interviews have all been linked on Klynt now; so now we are playing about with different ideas. We hope to be done by Sunday evening! Evening update: We have made really good progress; the interactive documentary is flowing really well, but there are several more interviews we need to link with our questions. It's Friday; carry on editing! However there is no let off for us. We are continuing from yesterday, where we exported all our interviews and interface into Klynt. As Klynt is a new software we are still getting our heads round, however, everyone is coming together to try and make our experience with Klynt as smooth as possible. Our interface is something we are very happy with and now we are putting all the links onto Klynt and things are looking good. We arrived at 11am and we expect another long day until 7 or 8pm but it will all be worth it with the deadline looming Monday; no pressure! 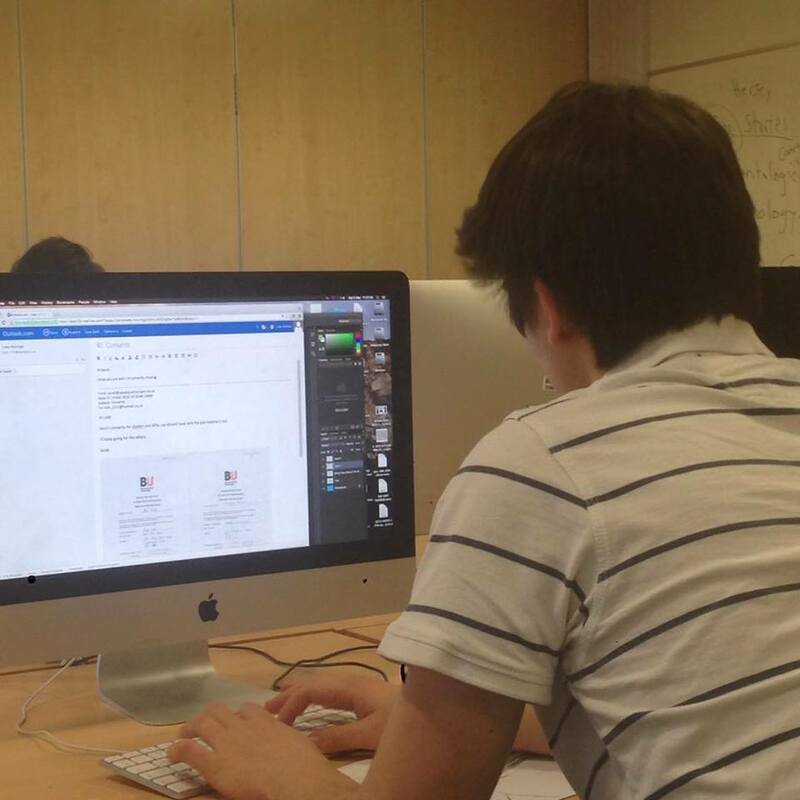 We're now designing our project on Klynt! We have decided to keep the interviewees utterances, 'er' in their answers so it is as natural when they respond to our questions. Meanwhile, another day ahead of us editing as a group! 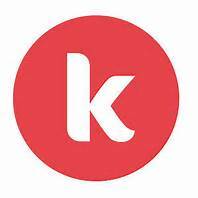 We are now working from Klynt with all our content now transferred and exported from Premier. This was a decision we made; we wanted all our content edited, exported and then transferred into Klynt as editing our content was going to be the most time consuming aspect of the project. Over the weekend there will be large amounts of work in Klynt! However, things are coming along nicely and we hope to be in a good position during the weekend. Things are looking hopeful. Why nobody has anything to run!